For satellite operator Yahsat, space is the limit. At this very moment, more than 1,400 active satellites orbit Earth. Having already produced some of the Middle East’s most powerful satellites, Yahsat has now set its sights on Africa, Brazil and beyond. Based in the United Arab Emirates (UAE), the company provides satellite solutions to both government and commercial entities. Masood started his career in business development before working as vice-president at Mubadala’s Information and Communications Technology (ICT) unit. The investment arm of the Government of Abu Dhabi, Mubadala focuses on the diversification of the UAE through investments in globally integrated industry sectors. Here, Masood oversaw corporate strategy and managed all ICT assets, including Yahsat. “I joined Yahsat as deputy CEO in 2012, playing a key role in carrying the company from the development phase into the operations phase,” says Masood. This was a key time for the company, as it looked to transition to a more global, commercially focused operator. The CEO oversaw the rollout of YahClick, Yahsat’s flagship satellite broadband internet service that spans 28 countries in the Middle East, Africa, Central and South West Asia. Bridging the technological gap for unserved and underserved communities, YahClick services home and business users, government entities and NGOs. Yahsat’s current fleet includes Al Yah 1, launched in 2011, Al Yah 2, launched in 2012, and Al Yah 3, which launches in late January. This third satellite will mark the company’s first entry into South America, providing coverage to more than 95% of Brazil’s population. YahClick will also penetrate 19 additional African markets, almost tripling its reach across the continent and covering 60% of Africa’s population. We serve thousands of people who would otherwise have no way of connecting with the world. “In terms of our government operations, we are a critical component of the strategic defence capabilities of the UAE, Bahrain and the Gulf Cooperation Council’s armed forces,” says Masood. Looking to the future, Yahsat is focused on the next wave of satellite communication trends, particularly in aero-connectivity, IP broadband, smart metering, and low bandwidth solutions such as the IoT. “We will continue to overcome challenges by anticipating risk factors, strengthening our distributor relationships, and making sure the company stays as lean and agile as possible,” Masood says. and development of local talent with a 62% Emirati workforce, while 92% of its satellite operators are UAE nationals. Masood has a strong focus on quality human capital, empowering his employees to succeed and become role models within their community. “I aim to build a collaborative engine where the best minds are empowered and not hindered. I ensure that Yahsat is the place to be for top talent on a global scale,” explains Masood. I aim to build a collaborative engine where the best minds are empowered and not hindered. “Ultimately, we provide a window to the world for people who would otherwise be living in the dark, and that is truly satisfying work. You don’t get that kind of satisfaction in many other businesses. We connect patients to doctors, troops to base camps, and peacekeeping missions to the United Nations posts in the region. In late 2017, Yahsat sponsored the Gulf Information Technology Exhibition Student Lab Competition, an initiative to promote innovation and creativity among students in communications technology, science, engineering and computing. 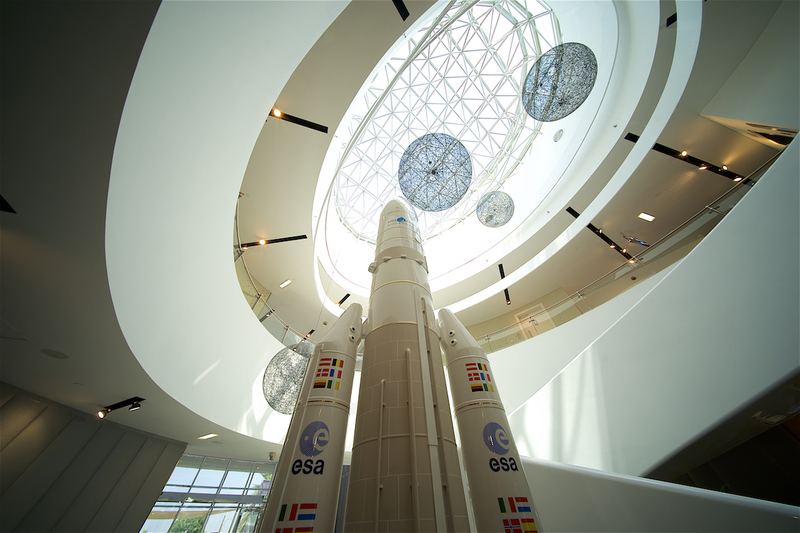 On top of a cash prize, the winner will attend the launch of the Al Yah 3 satellite, and all participants were offered the opportunity to intern at Yahsat.